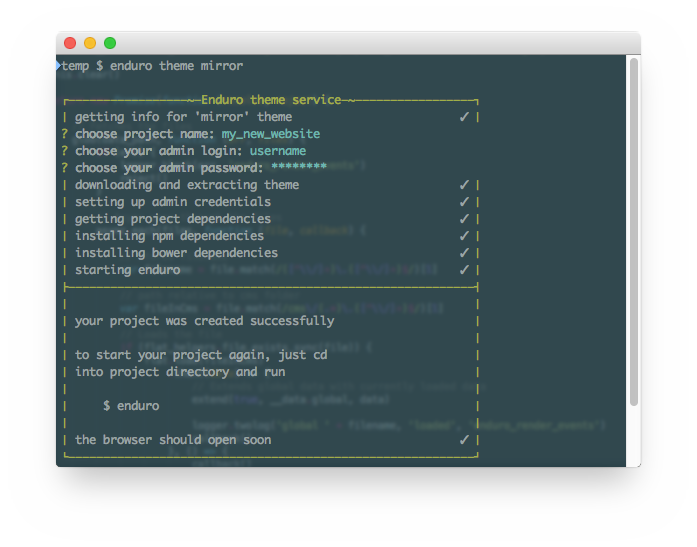 Enduro.js themes are the best way to get you up and running as fast as possible. They are also great first contact to enduro.js since you get to see the finished product, which you can then just tweak to your liking. To see which themes are available, just visit Theme manager homepage. First you have to make sure you have node.js installed on your machine. Second prerequisite is having enduro.js installed globally (just run npm i enduro -g). This will run enduro on a server and provide you with same admin functionality as if you were using localhost. I suggest you use heroku for this Heroku. It's affordable and easy to use. 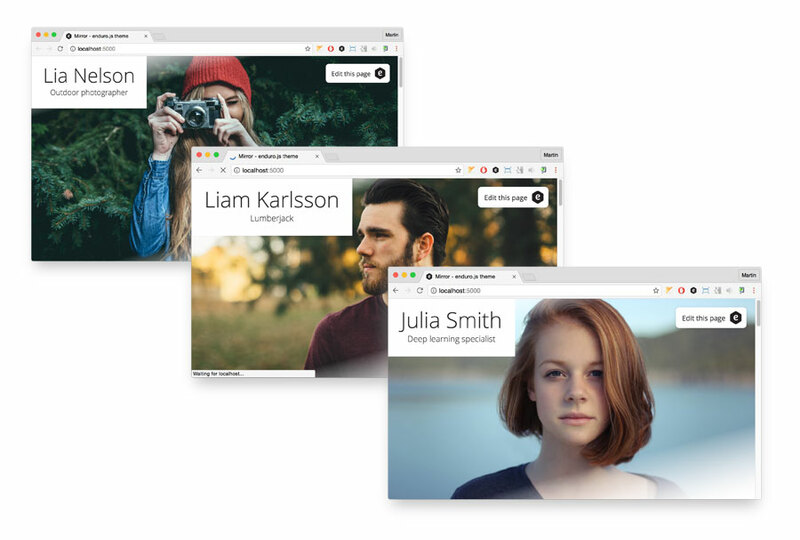 enduro.js theme is just an enduro.js project made in a general enough way so it can be used by other people just by changing the content. Everybody is more than welcome to contribute by creating a pull request to Github repository of this website. The file is quite self-explanatory.